What comes to mind when you think of Canada and sports? You probably think of hockey and a variety of other winter sports, anything that requires snow and ice. Makes sense, considering the country’s climate and geography. Canada does have a strong history of producing great hockey players, skiers, skaters, and athletes who compete in other winter sports. However, in recent years a number of Canadians in various sports have made an impact at the highest levels. Here are the Top 10 Canadian athletes in the world today. Starting off our list we have Andrew Wiggins, the professional basketball player from the NBA’s Minnesota Timberwolves. Wiggins entered the NBA in 2014 after being chosen first overall by the Cleveland Cavaliers in the NBA Entry Draft. He was traded to Minnesota before making his NBA debut, but quickly made a splash in the league, winning the Rookie of the Year award in his first season. 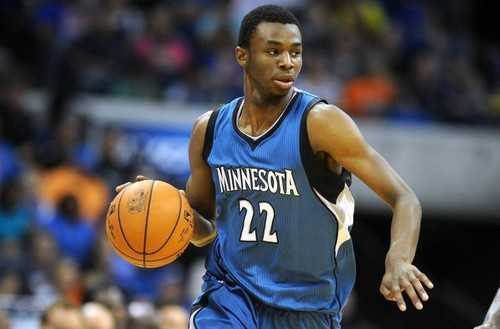 Now in his 3rd NBA season, Wiggins is a rising star in the NBA thanks to his athleticism and skill. The Ontario native has also represented Canada on the international stage several times, including being a member of the bronze medal winning squad at the 2015 FIBA Americas Championship. Similarly to Wiggins, Connor McDavid is a young superstar taking his sport by storm. The 20 year old McDavid is currently in his 2nd season with the NHL’s Edmonton Oilers, and is the team’s captain. He has been a household name in Canada for years as he tore up developmental and junior hockey leagues as a teenager before making his NHL debut at 18 in 2015. McDavid, a speedy centre, was the first pick in the 2015 NHL Entry Draft, and recently made his first All-Star appearance at the professional level. His skating ability, offensive skill, and great hockey IQ have convinced many people that he will soon be (if he isn’t already) the best hockey player in the world. He has won World Championship gold medals with Canada at both the Junior (2015) and Senior (2016) level. 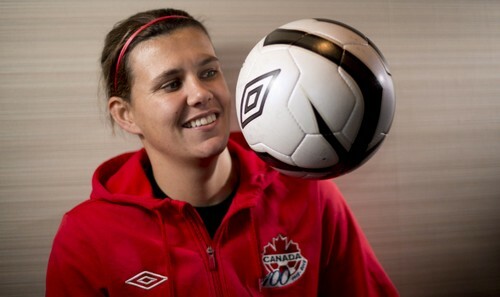 Christine Sinclair, one of the best female soccer players ever, comes in at #8 on our list. A long-time member of the Canadian national team, Sinclair currently has the 2nd most international goals in female soccer history. She has worn the Canadian jersey at 4 FIFA Women’s World Cups and 3 Summer Olympic Games, earning bronze medals at the 2012 and 2016 Olympics. Sinclair has won the Canada Soccer Player of the Year award an outstanding 12 times in her career and is a 6 time nominee of FIFA’s World Player of the Year award. 19 year old Brooke Henderson is a rising star on the LPGA tour, having already won 3 tournaments (including 1 Major) at the LPGA level. Her biggest win so far in her career is a victory at the 2016 KPMG Women’s PGA Championship. She is currently ranked an impressive 8th in the world at her sport, a position that she will no doubt surpass in the future. A native of Smith Falls, Ontario, Henderson also represented Canada at the 2016 Olympics in Rio. High Jumper Derek Drouin takes the 6th spot on our list of The Top 10 Canadian Athletes. Drouin is the reigning Olympic and World Champion in Men’s High Jump, as he won gold at the 2015 World Championships and 2016 Olympics. He also has bronze medals from the 2012 Olympic Games and the 2013 World Championships. He holds the Canadian record in high jump, clearing 2.40m in 2014. Drouin also won gold at the 2015 Pan American Games in Toronto, and won 5 NCAA titles while competing for the Indiana Hoosiers. The title of “World’s Greatest Athlete” has often been reserved for the best decathlete in the world, as the sport requires all-around ability in a variety of running, throwing, and jumping events. 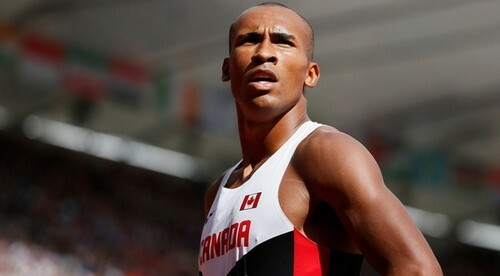 As one of the world’s best decathletes, London, Ontario’s Damian Warner is deserving of a spot on this list of the best Canadian athletes. Warner picked up his first Olympic medal, a bronze, at the 2016 Rio Games, and also has silver and bronze medals from the 2015 and 2013 World Championships. He holds the Canadian record in the decathlon, and seeing how he has continued to improve throughout his career, look for him to keep making an impact at the international level in the future. Milos Raonic, a tennis player, was born in the former Yugoslavia, but moved with his family to Canada when he was 3 years old. He is currently ranked 4th in the world, though he was ranked 3rd for a time in 2016. Raonic has 8 ATP titles to his name, and has earned over $14 million (USD) in career winnings. While he has yet to win a Grand Slam tournament, he did reach his first Grand Slam final at Wimbledon in 2016, and reached the semi-finals at both the 2016 Australian Open and Wimbledon in 2014. Raonic is undoubtedly the best Canadian men’s tennis player today, evidenced by the fact he has been named Tennis Canada’s male player of the year every year since 2011. At 26 years old, Raonic is in the prime of his career, so look for him to be a major player on the ATP tour in the future. Scarborough, Ontario’s Andre De Grasse was a relatively late bloomer in the sport of track and field, as he didn’t seriously begin racing until he was partway through high school. 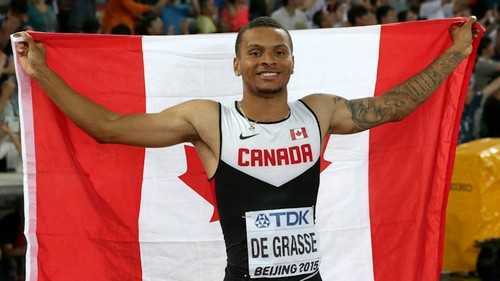 Despite the late entry into sprinting, De Grasse burst onto the scene in 2015 by winning the 100m and 200m events at the NCAA Championships while representing the University of Southern California. He followed that up with a pair of gold medals at the 2015 Pan American Games in the 100m and 200m, and bronze medals at the 2015 World Championships in the 100m and 4 x 100m relay. 2016 may have been an even better year for De Grasse. Competing in his first Olympics, he won a silver medal in the 200m, and bronze medals in the 100m and 4 x 100m relay. Only 22 years old, it looks like De Grasse will be a major player in international sprinting in the future. 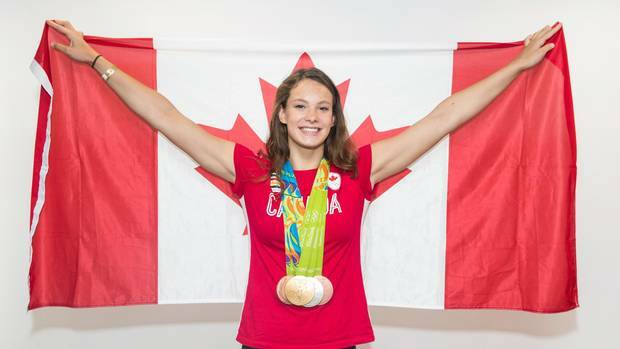 Similarly to Andre De Grasse, Penny Oleksiak used the 2016 Summer Olympics as a means to catapult herself to the forefront of her sport. Oleksiak is a freestyle and butterfly swimmer who won 4 medals (a record for a Canadian athlete at a single Summer Olympics) at the Rio Olympics: gold in the 100m freestyle, silver in the 100m butterfly, and bronze in both the 4 x 100m and 4 x 200m freestyle relays. She also set Canadian women’s records in the 100m freestyle and 100m butterfly. Oleksiaks’s impressive breakthrough performance in Rio earned her the honor of being named Canada’s flag bearer for the Olympic Closing Ceremonies, and won her the Lou Marsh award, given annually to the top Canadian athlete of that year. However, the most impressive thing about Oleksiak may be that she’s only 16 years of age; more medals and accolades appear to be in her future. Crosby has been a household name in Canada since he was a young teenager, as he dominated every age group. He competed in before making his NHL debut at 18 in 2005. 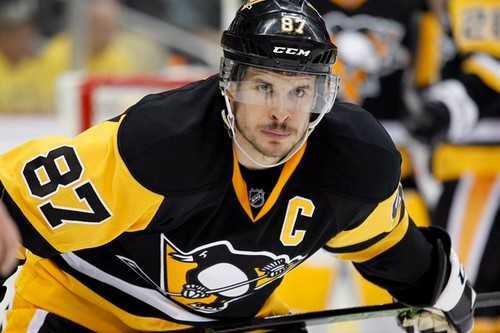 Crosby’s dominance has continued since then, as he has captained the Penguins to 2 Stanley Cup championships, won 2 Hart trophies (NHL MVP), 2 Art Ross trophies (NHL scoring title), and a Conn Smythe trophy (playoff MVP). Known for his mix of speed, power, skill, and grit. Also, Crosby is a complete player with few, if any, weaknesses in his game. He has also had a very successful international career, winning 2 Olympic gold medals, a World Junior Championship, a World Championship, and a World Cup title with Team Canada. See also; 10 Highest Paid Athletes in the world. One of the most beautiful and glamorous female tennis player, Genie Bouchard may not be ranked amongst top 10 greatest Canadian athletes right now, but she deserve the honorable spot here. As a professional tennis player, she is currently ranked no. 47 in world ranking. She is the first Canadian-born player representing Canada to reach the finals of a Grand Slam in singles.